At the official release points of the project, such as building permit application and construction cost estimation, the BIM model and the documents that are produced from it are important tools for decision making. In a pure BIM-based design process, the BIM models and design cannot be separated and therefore they should be publishable at the same time. 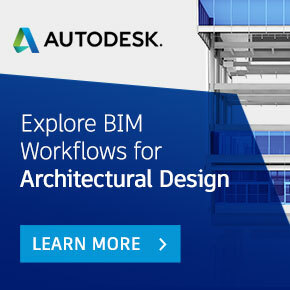 Documents should primarily be based on the BIM model itself. The model will be published simultaneously with, or before the documents. During the design phase, documents are published much less frequently than BIM models. This allows the active use of BIM models in the design development phase instead of as a passive deliverable. This should be considered in the project schedule. If only the document publication date is scheduled (as in traditional process) there is a risk that model checking and analysis will not have the optimal effect, and many of the benefits of the BIM model are wasted. Model will be published for a particular purpose, and the publication is usually triggered by the project planning schedule. The decision to release the BIM is followed by the preparation of the model, BIM specification and sometimes also the building specification and other material that is related to the model. Before the release of the model, Quality Assurance is carried out as described in Series 6. It is important that the various documents and models are consistent. Finally, the release package will be published, for example, by uploading it to the project server. It has to be taken into account that all related analyzes and other material must be able to connect/link later clearly to the package. The schedule for publications in all stages should be agreed at the beginning of the project and there should be sufficient time and resources reserved for the quality assurance process at each release point. Other information (Building GUID, location, discipline owner, etc.) necessary to allow the specific software applications being used on the project to function correctly.